I’ve got several new posts in the pipeline, but before I write any of those, I needed to tell you something. After several years and different hosts, my blog finally has a new web address. What was once christianityandvirtue on blogger and became christianityandvirtue on wordpress has now become elflandletters.wordpress.com. If you’ve followed my blog via wordpress this shouldn’t change anything. I am not so confident about feed readers, and anything I’ve posted on Facebook is now incorrect. So please, tell your friends, update your blog rolls (if you’ve been so kind as to place me on yours), and be on the look out for new posts. I am a little behind the times on this, but a few weeks back now, Christianity Today had a piece called ‘Theologians in Place’. It gave examples of American Reformed churches (not that these are the only churches doing this, but they make up the majority of the examples) who are hiring theologians onto their staff. There is some concern noted in the article. For instance, who counts as a theologian (i.e. Aren’t all Christians theologians)?. Or, as the article quoted Eugene Peterson, ‘my gut feeling is that the pastor should be the theologian in residence.’ Peterson then compares it to a surgeon hiring a surgeon in residence and noting that this makes little sense. Nevertheless, I think this notion of theologians in residence is seeking to meet some problems facing most Christian denominations today. The primary problems, as I see them, are those of lay theologians and the relationship between the academy and the Church. In the first place, I think Christian churches are beginning to experience something that, in numbers at least, is a relatively new development: the lay theologian. In ages past, the main, though not only, people who would receive theological training (there being no real distinction between say pastoral, systematic, general, etc.) would have been those training for ordination and/or those seeking a monastic vocation. This also tended to limit theological training to men (which the lay theological movement has, perhaps, helped to overcome, as well as note the place of women within the ministerial as well as theological discourse). Now, however, there are young theologians (and old) who have not and are perhaps not called to train and serve as ordained ministers/priests, but are called to do theology. Yet our secular academies are trending increasingly towards the sciences (not necessarily a bad thing), but this means they are tending away from and even defunding subjects in the humanities, and if English is being defunded, you can guarantee that theology and philosophy will be as well. Even in Christian Universities and Seminaries, there seem to be too few jobs for the people trained in theology. I know one young theologian who has had his PhD for several years now and has still not been able to find a job. On the other side, many churches are (often understandably) wary of academic theological training and research. Whether its because they think it will lead people to deny things about the life of Christ, or the dating of certain books of the Bible or to change their stance (one way or the other) on issues like homosexuality, abortion, politics, some churches simply seem to put off an anti-intellectual vibe. Or, and this is an issue primarily for Bible based churches (and by that I simply mean denominations/movements that tend not to follow a specific Creed or Confession of Faith), it has occasionally been my experience that some churches know how to handle and utilise Biblical Scholars but often are uncertain what to do with those who study things like Systematic Theology, Historical Theology, Philosophic Theology, etc. As a young theologian myself (twenty-seven and nearly done with my PhD) this is something I find myself often worrying about. Is there a place for me in the Church and in the church? I know, somewhat, my place in the Church, but what is my place in the local congregation? What should I do if the minister or priest makes a theological faux pas? What if a young student unintentionally spouts off an ancient heresy as truth? How does the research I am doing affect the local community? Or, for that matter, how can I introduce my research to the local community in order to make it useful? These and others like them are the questions that often plague me. So, what do we do? I certainly don’t have THE right answer. However, I would suggest that churches hiring full-time (or even part-time) theologians is a step in the right direction. A theologian in the church can be given the time (the leisure, used in the Josef Pieper does) to write journal articles and books, in order to remind the academe the relevance of theology and the Church. A theologian in the church can also preach and teach, in both instances alongside the clergy and the parishioners. They can write books or newsletter articles for the churches they serve in order to help people discuss issues like science and Christianity, ethics, philosophy, the history of the Faith. I don’t want to make it sound like the problem lies entirely with the churches. Those who view theologians as ivory tower academics who look down their noses at them, certainly have been given reason to do so. Theologians need a good dose of humility, which I think working directly with the local church can help them become. Theologians need to remember that if our work is not in some way also for the Church and the church then there is something wrong with it and with us. Above all, however, we need to remember or be told what its like serving a Christian community. Remember, Augustine, Gregory of Nazianzus they were bishops. Thomas Aquinas was a Dominican Friar. Rahner, de Lubac, von Balthasar, Congar were all priests. Many of the best theologians throughout the history of the Church were also servants of monastic orders, dioceses, and/or local churches. So, if you’re a leader in a church, hear my plea, hire a theologian (even if it isn’t me). If you’re theologian look to the local church. We need each other, we need to support each other so we can continue to go about work of studying and discussing the Creator of the Cosmos and spreading the Good News that the Creator has entered his Creation to make all things new. Here’s a relatively brief book review I’ve written for John Milbank’s The Legend of Death: Two Poetic Sequences. Eugene: Cascade Books, 2008. 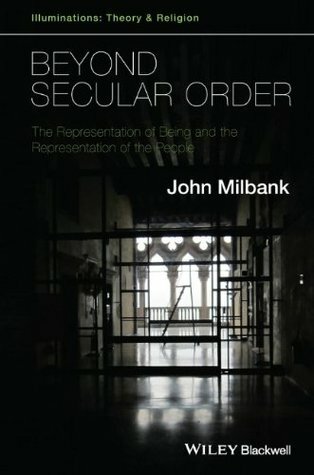 Readers familiar with John Milbank’s work, particularly essays he has written but also books like The Word Made Strange and Beyond Secular Order (which I’ll be reviewing in the next few days), will not be surprised that John desires poetry and desires that it be written to express metaphysical and theological truths. What readers may be unaware of, however, is that John is a poet himself. The Legend of Death is John’s second published book of poetry, that I know of, his first being The Mercurial Wood (which I haven’t read, yet). This book is written, like much of John’s work nowadays, in two sequences. The first sequence, On the Diagonal: Metaphysical Landscapes, is a series of what appear to be primarily occasional poems about the Nottinghamshire and Virginia landscapes. These poems, however, are not mere descriptions (though I’m sure they would be lovely if they were) but also reflections on the metaphysical. John writes poems with titles such as ‘Hymn to Iamblichus on May Morning’, ‘Cosmos’, and ‘On the Lizard’. This collection is both and fun and profound, often within the same poem. 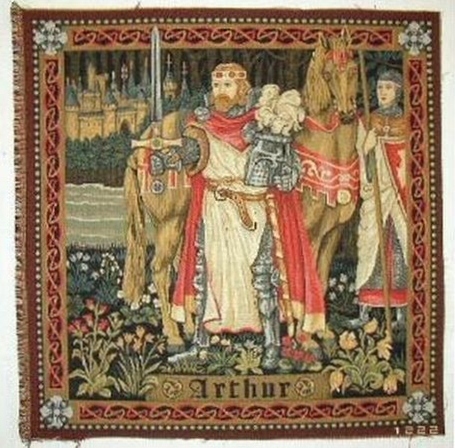 In the second sequence, The Legend of Death, which gives the book its title, Milbank fuses together bits of mythology, theology, and geography taking his readers on trip beginning in the other Britain, Brittany, and working his way into Britain itself in a relatively northward moving pattern. 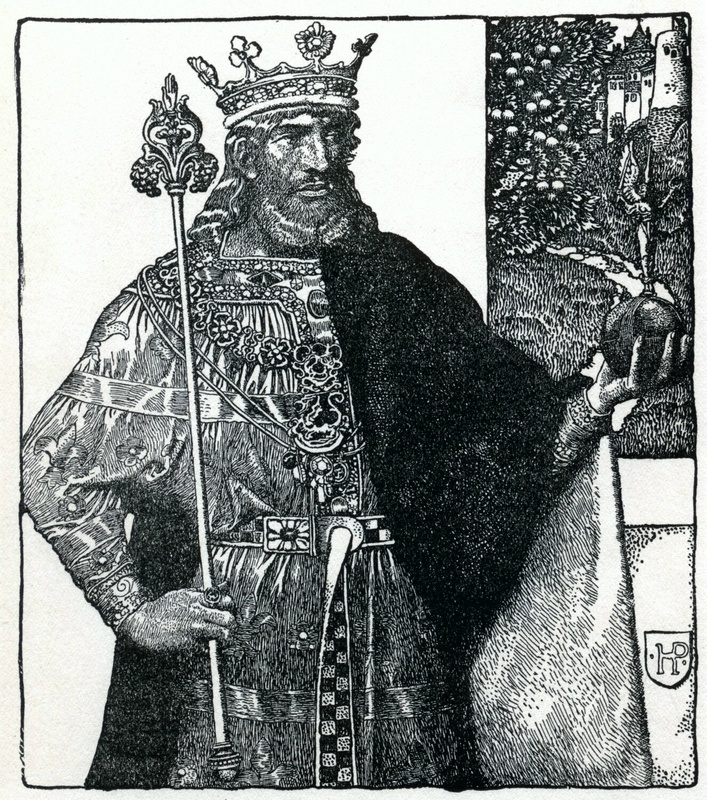 Thus the poems here collected shift from the Celtic and Arthurian to the Nordic/Anglo-Saxon world of Woden. In these poems John gives us what I can almost describe as death as life. A single reading is not enough to plum the depths. 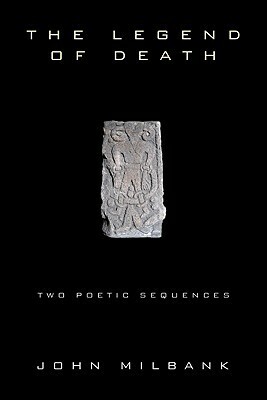 Accompanying each sequence are two essays wherein Milbank lays out the theoretical and theory of poetics behind the poems in each sequence. In the end, Milbank has proven himself to this reader not simply a poetical person, but a poet. True, Milbank is not, perhaps a perfect poet, but I am not a good critic to tell you why. For my own tastes, I tend to prefer poetry with more structure, more intentional rhythm, meter, and rhyme, but can attest that this is terribly difficult poetry to write well. What Milbank does very well in these poems, however, is to dare theologians and philosophers to poetise, that is to write poetry. Oh this may not have been even remotely a goal of his (though I intend to ask him), but nevertheless, Milbank here reminds us implicitly that Christianity (and Judaism) is the the religion of the Psalms, the religion of Poets (like Gregory of Nazianzus, Ephrem the Syrian, Dante, the Pearl Poet, Milton, Donne and so many others). Milbank reminds us that the best theology and best theologians ought often, though not always, also be poets. Even should you hate the poetry contained within these pages, if you call yourself a theologian or a philosopher, let this book remind you that we are a poetical people, that we are poems ourselves, created by the Poet of the Cosmos (though not in the Whiteheadian sense). Well, its taken me nearly all day, but I’ve finally finished watching the Ken Ham-Bill Nye debate over creationism (as defined by Ham) as a valid model for a scientific explanation of origins. For any of my non-American readers who don’t know who Bill Nye and Ken Ham are: Bill Nye is television personality who had a popular TV show during my childhood called Bill Nye the Science Guy (he does in fact have a Bachelor’s in Engineering). Ken Ham has a Bachelor’s in biology and is the curator of the Creation Museum in Kentucky. Ham believes the earth was created in six literal days and is around 6000 years old. Nye believes in Darwinian evolution. There, the stage is set. I could give you a blow-by-blow of the debate and then show you all the problems on both sides, but I don’t think that will be necessary. At the end of the day there is a more fundamental issue that both gentlemen have ignored. When they talk about origins they tend to talk about two different things. Towards the end of the debate, Nye is asked where the atoms that existed in the big bang came from. His answer? It’s a mystery. Ham responds glibly, ‘There’s a book that tells us the answer to that, it’s called the Bible’ (roughly paraphrased). I suppose ultimately, I agree with Ham on that question. Namely, that the opening chapters of Genesis are concerned with giving us a story about why there is something rather than nothing (and what created beings with free will did with that something). The problem is, Ham has bought into the notion that Science is the Queen of the Sciences. Nye certainly believes that. His constant imploring of voters and tax payers to keep science scientific and his exhortations for young people to become scientists so that America won’t get left in the dust proves that. Only, Ham shouldn’t agree. He shouldn’t, as a Christian, agree that science is the end all be all. While I don’t agree with most common dichotomies between science and theology/philosophy (religion as Nye called it), I do agree that a doctrine of creation, especially one of creation ex nihilo (out of nothing), is not a scientific claim. That is, it is not a question that is subject to science, but this is because I think theology, and her handmaiden philosophy, ought to stand at the top of our disciplines. It is out of these that we seek to know and learn more (as a t-shirt I once read says: Science can teach you how to make a dinosaur; the humanities can tell you why it might be a bad idea). This is the conclusion Victor Frankenstein ultimately comes to all to late in Mary Shelley’s Frankenstein. Neither Nye nor Ham seem capable of understanding this, however, as they talk at rather than to each other. There a few books I would have both gentlemen read to see why their debate was ultimately pointless: First and foremost, they both ought to read Hart’s The Experience of God, so they can understand what the definition of God is before they discuss the nature of that God’s having created. Second, I would have them read Conor Cunningham’s excellent Darwin’s Pious Idea so that they can see the pitfalls creationists and ultra-darwinists fall into and what a Christian account of evolution looks like. 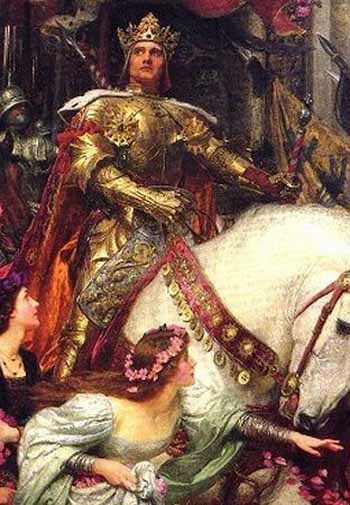 Finally, as both men like to talk about physical and natural laws, I would have them read the section G. K. Chesterton’s Orthodoxy entitled The Ethics of Elfland, to be given a little humility about laws and predictability. The debate will be available online for a few days so feel free to watch it if you have two and a half hours to spare. At the end of the day, I think both men get it wrong, which is why I believe in creation and see no real contradictions between it and evolution, particularly since one concerns true origins (why is there something rather than nothing) and the other deals with development. Have you watched the debate? Are you a Young Earth Creationist (or Old Earth), or an Atheist and I think I’m just plain wrong? Let me know.